With 51 used Silver Audi A5 Cabriolet cars available on Auto Trader, we have the largest range of cars for sale available across the UK. Audi A5 2.0 TFSI S LINE 2d 208 BHP 1 PRIVATE OWNER/ 6 SERVICE STAMPS. 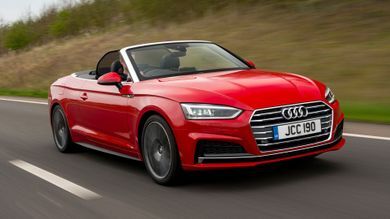 If you’re in the market for an upmarket, four-seat sun-seeker, they don’t come any more refined or composed than the A5 Cabriolet.